OK, a little explanation.. Having been in the Menswear industry for nearly 20 years, and having bought almost every Designer collection under the sun, we know a thing or two about trends, fashion and product. Most stores will have some beautiful pieces amongst their selections, but most stores also need to “pad out” their offer, to maintain healthy-looking ranges, and fulfil the budgetary needs for a particular brand for the season. Most products are “forward-ordered” up to 9 months before delivery. Trends change, sometimes quickly, and this inevitably leads to some second-rate stock coming through, that’s usually destined for the sale rails. What we’ll be doing in this section is making some selections that we know are absolutely spot-on trend-wise, thus alleviating the need to trawl through thousands of products on dozens of sites to find the real gems. Enjoy the products, and give us your feedback. We’ll consider any suggestions you may have for a particular product, brand or trend. Cheers! There’s boots, and there’s boots! Some of the best stores in the UK have recently picked up on a fantastic trend, that’s not going to go away for a while. The boot above is from Diemme, a highly revered manufacturer of Skiing and Hiking boots, in Montebelluna, a small region of Italy around 50 miles from Venice. 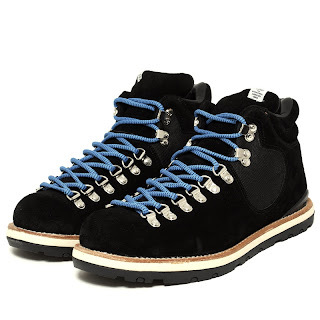 The hiking boot ticks all of the boxes for us; it’s a really sharp distinctive look that pairs perfectly with jeans; it’s not too radical, or “out there”; it’s a stayer – a trend that you’ll live with and love for ages; it’s still fairly exclusive; and, it’s difficult to rip off. This is a beautifully crafted product – it will be jumped on by the High Street plagiarists, but the beauty of a product like this is that it simply can’t be cheaply mass-produced. 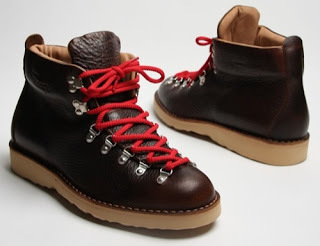 The very best brands are Fracap, Diemme, and at the very top end, Visvim. We love this look.